Hailed by critics and artists alike as ‘the painter of the good life,’ Lebasque was acclaimed for his individuality, his delicate sense of light and his personal charm. 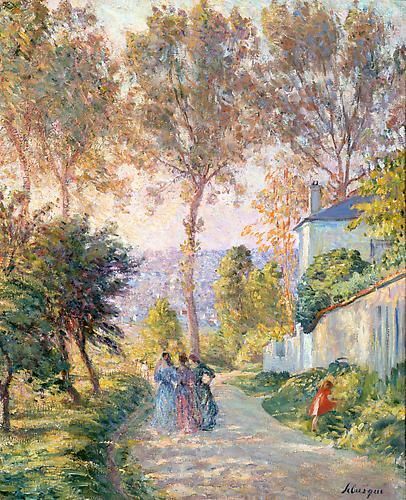 Such were the qualities that prompted Beaunier to write: ‘Lebasque merits the renown of a lovely original artist, who knows his calling, uses it well, and never abuses it’ (Gazette des Beaux Arts, May, 1908, p. 366). Born in Champigne, Lebasque went to Paris in 1885 and studied at the Ecole des Beaux Arts. He then entered the atelier of the portraitist Bonnat and began to exhibit at the annual art society exhibitions and the Paris Salons. He later assisted Humbert with the decorative murals of the Pantheon. Lebasque’s vision was colored by his contact with younger painters—especially Vuillard and Bonnard, founders of the ‘Nabis’ group and ‘Intimists’ who first favored the calm and quietude of domestic subject matter. From his first acquaintance with Seurat and Signac, he learnt the significance of a color theory, which stressed the use of complementary colors in shading. Lebasque was a founding member of the Salon d’Automne in 1903 with his friend Matisse. Two years later a group of artists exhibited there including Rouault, Derain, Vuillard, Manguin and Matisse. Dubbed, ‘Les Fauves’ for their stylistic savagery, it was noted by the critic Vauxcelles, that Lebasque’s talent arrived ‘in the midst of the roaring of the unchained beasts.’ Like ‘Les Fauves,’ he adopted a similar flatness of shape and color, but blended with a sophisticated and subtle fluidity. In 1924 he moved to Le Cannet on the French Riviera, where he shared a model with his friend and neighbor Bonnard. 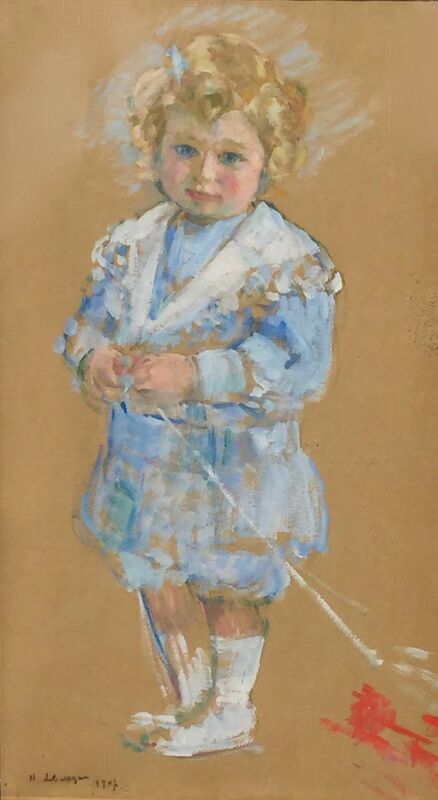 Famed as a painter of ‘joy and light,’ Lebasque is admired for the intimacy of his subject matter and his unique delight in color and form. Lebasque also took inspiration from the softer impressionist palette of Pissarro, with whom he also studied. In his outdoor scenes as well as his intimate interiors he employed large free strokes with the brush to construct his compositions but in colors that were at once vaporous, delicate and harmonious. He spent much of his career in the south of France painting along the shores of the Mediterranean or in his home at Le Cannet. He was a neighbor and close friend of Pierre Bonnard and Henri Matisse, and the three men shared many of the same artistic ideals and aspirations.